Were almost at Augusts end, but I am popping in to share just one more FO with you. I was sitting in my living room chilling, when all of a sudden I got the urge to finally start work on the Pick and Mix CAL that has been in my to do list for so long. 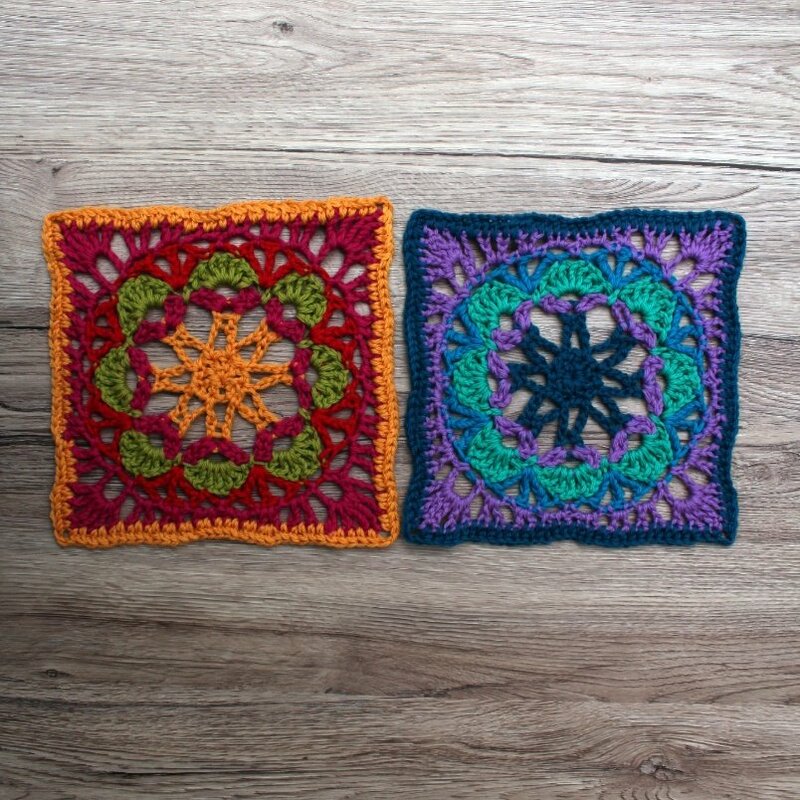 When I saw this CAL in Simply Crochet Magazine almost 2 years ago I fell in love immediately and went straight to wool warehouse to grab the yarn pack. But that is as far as I got. Until now! I live this yarn (Cascade 220). It is super buttery and nice to crochet with. And the colours are so vibrant. The pattern was easy to follow. The only downside was the number of tails I had to sew in! The finished squares were wobbly as hell but a bit of blocking straightened it all out! I love them and I cant wait to get started on part 2.